I love to travel with my family. Each year, we plan trips and try to find new experiences to enjoy together. On one of these recent trips, my husband said, “We should spend this much effort on discovering Raleigh. Our city is awesome!”And he is right. Raleigh and the Greater Triangle area are bursting at the seams with culture, food, entertainment and activities for the whole family. We could spend a week right here in our city and still not see everything we might want to see if we were just visiting. I’ve partnered with the folks at Apartment Guide to share some of our favorite places in Raleigh and a few that are still on our to-do list! In the heart of Downtown Raleigh, at the South end of Fayetteville Street sits the Duke Energy Center for the Performing Arts. We’ve seen concerts, plays, kids’ musical productions and even attended an Easter church service here. The location easy to get to, parking is nearby and there is always something happening in one of the beautiful auditoriums. For my family, it’s definitely a 4-star night out. Especially when paired with a fun meal nearby. From musical performances and children’s entertainment to the North Carolina Symphony and incredible Broadway Series South productions, there is something for everyone here. When the show is over, walk a couple blocks to one of many Downtown Raleigh restaurants for a delicious dinner or tasty beverage! Speaking of tasty eats and treats, Downtown Raleigh is rapidly growing with restaurants for every taste. We love to head downtown on the weekends to check out the dinner scene or grab lunch somewhere quick as a family. Raleigh is the home of the James Beard Award Winner for “Best Chef: Southeast,” Ashley Christensen. Her family of restaurants includes local favorites like Chuck’s, Beasley’s Chicken + Honey, and Poole’s. To really explore all the dining options Raleigh has to offer, plan on feasting during Triangle Restaurant Week, where you can sample the best of the best at a discounted price. 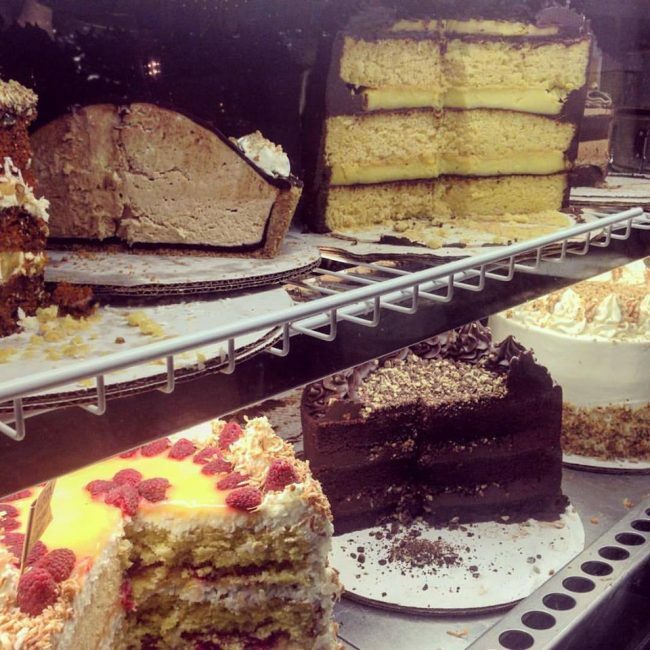 And for the best desserts in the Triangle, make it a point to visit Hayes Barton Cafe. These are 5-star cakes. Trust me. You won’t be sorry! 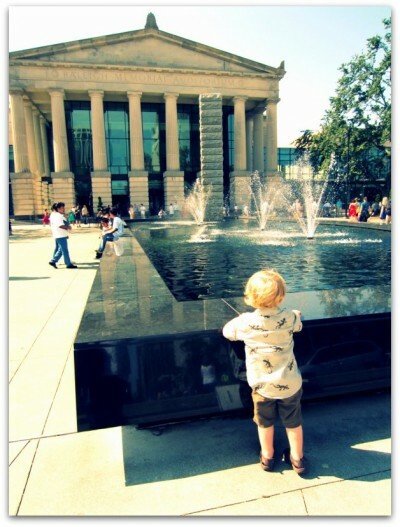 Raleigh is home to many wonderful museums for all ages. We love taking our children to the North Carolina Museum of Natural Sciences. The kids love learning about North Carolina plants and animals, but I can’t seem to get out of there without learning something myself! This is definitely not a children’s museum. Everyone gets an education and has a great time. If you are looking for something a little more sophisticated, look no further than the North Carolina Museum of Art. Take a tour, wander through an exhibit or enjoy the outdoor trails for a delightful experience. I can’t wait to catch the end of The Worlds of M.C. Escher: Nature, Science & Imagination Exhibition, which runs until the 24th of January. In fact, there are a few upcoming exhibitions that caught my eye, so I might be there quite a bit this spring. During moderate climates, bring a blanket or chair to enjoy outdoor concerts, movies or a variety of other activities on the lawn at the beautiful Museum Art Theater. I saw Brandi Carlile perform at this venue last year and it was an amazing show! The Capital Area Greenway Trail System is one of my favorite places to walk, ride a bike, go for a run or explore with my kids. 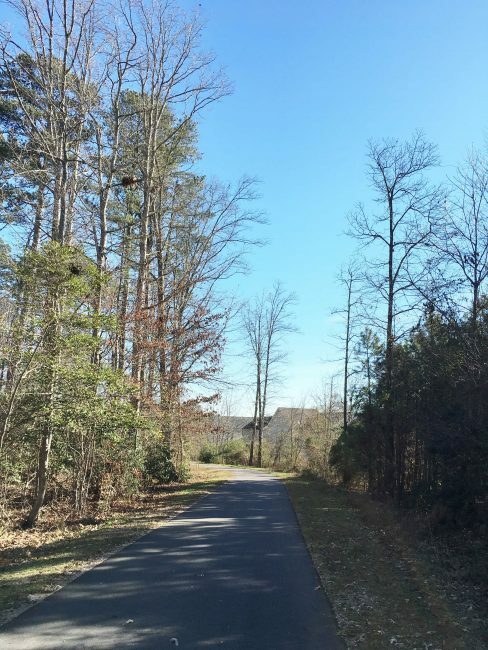 The trails are well kept and beautiful and really showcase some lovely natural areas here in Raleigh. 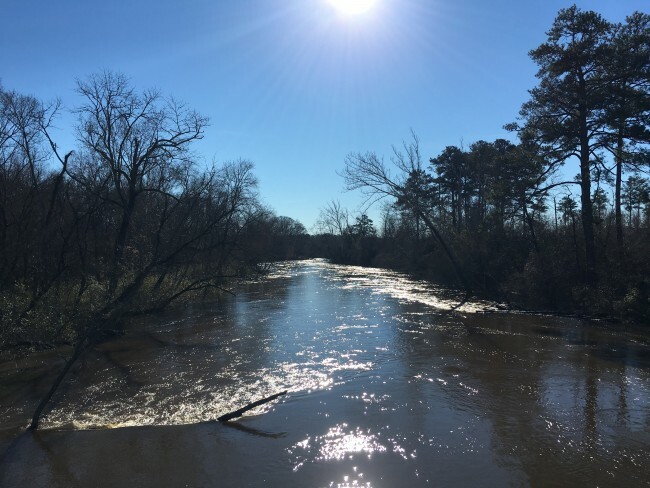 The Neuse River Trail (pictured above) starts at Falls Lake Dam and runs 27.5 miles through Wake County and it’s one of my favorites but there are many other beautiful trails to experience. In fact, many of Raleigh’s local races include our trails as part of the official course. And if you plan to check out the North Carolina Museum of Art, you can access it via the Reedy Creek Trail! There is a great app called RGreenway for tracking your distance and location while on the trail and if you are in a position to give back, you can Adopt a Trail to help keep it clean! Work is ongoing to connect the trails throughout Raleigh and beyond, so it’s only going to get better and better. Believe me when I tell you I am just scratching the surface of all Raleigh has to offer. And this is just Raleigh! The surrounding areas including Cary, Chapel Hill and Durham would add pages to my list. It’s not hard to see why the Triangle Area is constantly on so many “Best Places to Live” lists year after year. In 2016, I hope to see Raleigh like a tourist! I have big plans for more dates, more outside time and more music. What is on your Raleigh to-do list?